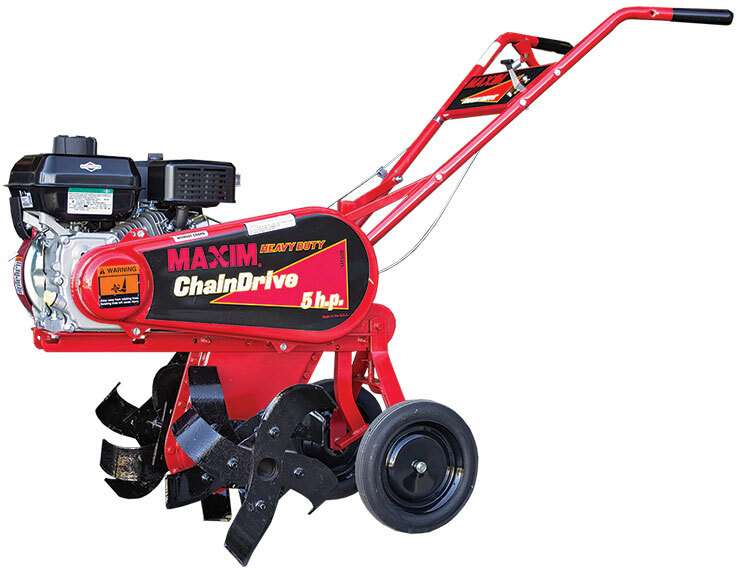 Maxim’s largest transmission produces serious power with slower tine speeds (approx. 72 RPM Max.) that make it possible to break new ground, till deeper in one pass and work in heavy clay soils. The extra power makes it possible to use the large, water filled tractor-type wheels to pull plows, cultivators, and other accessories. The MT50B is made with substantial gardens and tough conditions in mind.